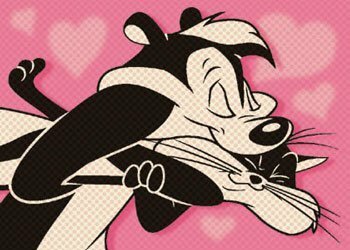 was anyone else disturbed by how agressive pepe le pew was? he was extremely physically intimidating. and i always felt really bad for the cat who accidentally walked under a freshly painted fence and unfortunately had a white stripe down her back. it bordered on physical/sexual harassment. that skunk was shady! Those of us who watched these things as little girls in the '50s knew what to expect when we started dating.